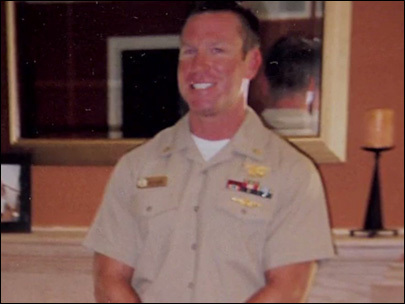 Tyrone Woods became a Navy SEAL after his mother suggested he join the military. 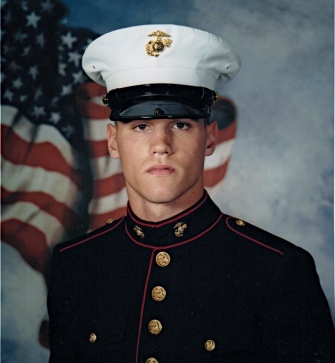 Friday afternoon, Cheryl Croft Bennett will attend a ceremony to honor the life of her son Ty and grieve his loss after his death along side three other Americans in Tuesday’s assault on the U.S. consulate in the Libyan city of Benghazi. On Thursday, a U.S. official confirmed Woods was among the dead. “Tyrone’s friends and colleagues called him ‘Rone,’ and they relied on his courage and skill, honed over two decades as a Navy SEAL,” said Secretary of State Hillary Clinton in a statement. 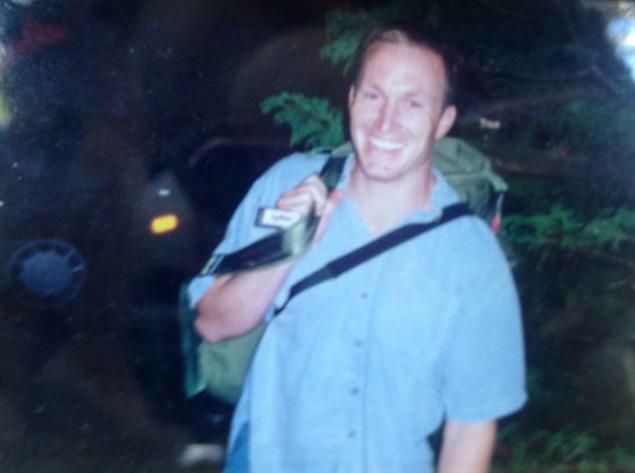 A former Navy SEAL from Massachusetts was identified Thursday as one of the four Americans killed in the attack on the U.S. Consulate in Libya on the 11th anniversary of 9/11. 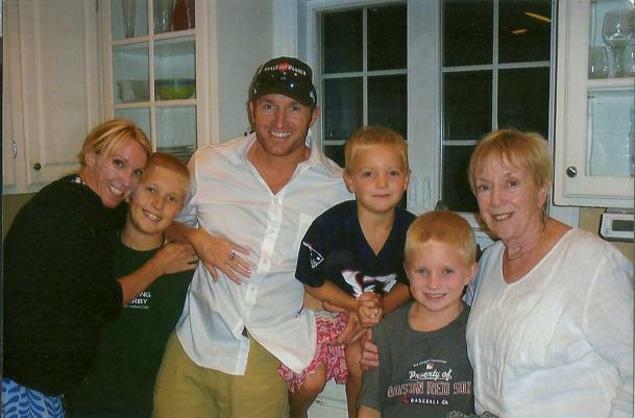 Glen Doherty, 42, of Winchester, Mass., was working a security detail in the volatile nation when he was killed Tuesday, The Boston Globe reported. “I never thought he’d be another victim of 9/11,” his sister Katie Quigley told the newspaper. 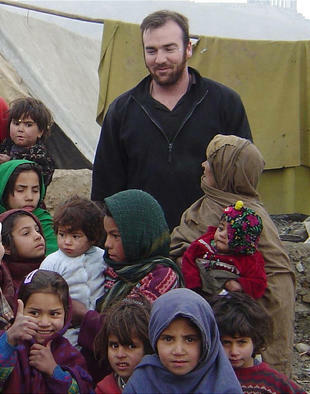 Doherty arrived in Libya just six days before his death in Benghazi. Doherty was protecting Ambassador Chris Stevens and aiding the wounded after the consulate was blasted with rocket propelled grenades during a four-hour firefight, Quigley said. 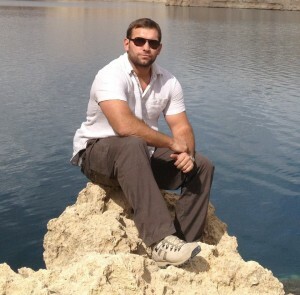 Stevens and 10-year diplomatic veteran Sean Smith were also killed in the attack. A fourth victim of the attack remains unidentified. Doherty was a lifelong thrill seeker whose past included stints as a ski instructor and at a flight school. He spent seven years in the Navy, and belonged to a group that fought against religious proselytizing by U.S. troops. He left military service to join a company that provides security for U.S. officials overseas, his sister said. Since going into the security business, Doherty was sent back to Iraq and Afghanistan — and worked in Israel and Kenya, his sister told the Globe. The family received word of his death on Wednesday afternoon. igley said she believed the attack was not prompted by an anti-Islamic movie but was premeditated and timed to coincide with Sept. 11. Mr McGowan had previously served in the Parachute Regiment. It is thought he left the Army to become a private security contractor, joining the lucrative “circuit”, as it is known. The 32-year-old was engaged to be married and had two young children, Manus and Mila. No details surrounding his death were available last night. Marc McGowan, sadly passed away yesterday while in Afghanistan. He was a man of great character and a true friend. Always quick to laugh and see the funnier side of almost any event and situation, Marc was a man that could be relied upon to carry you through even the toughest of times. 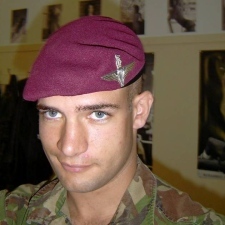 Marc and I served together in the Parachute Regiment where we developed a strong bond that remained to this day. He will be missed by everyone who knew him. Five years ago, after surviving one tour of duty in Iraq and another in Afghanistan, Cpl. Justin Pope left the Marine Corps to take a lucrative, high-prestige job with a private military contractor providing security at the American embassy in Erbil, Iraq. From the time he was a kid growing up in Riverview, Pope always knew he would be in a uniform some day, protecting people. The new job would be an extension of that, providing the experience and advanced training that would further his career. Instead, it brought an end to his life. On the night of March 4, 2009, the square-jawed 25-year-old was in his room at the embassy compound when a single bullet from a 9-millimeter semiautomatic handgun fired at point-blank range entered his mouth, passed through his brain and exited the back of his skull. That much, his family knows with heart-rending certainty, is tragically true. What they refuse to believe is the official account of that killing, a story of mutual, reckless gunplay detailed in the files of the U.S. District Court in Gulfport, Miss. That is where Kyle Palmer, a young man who went to war with Pope and claimed to love him like a brother, pleaded guilty to one count of involuntary manslaughter and was sentenced to three years in federal prison. A South African security trainer was killed by his bodyguard in Somalia’s semiautonomous region of Puntland, officials said Saturday. Puntland’s government said in a statement Saturday that it had launched an investigation into Friday’s killing. The statement identified the man as Lodewyk Pietersen, and said he worked for Saracen International, a security firm that trains anti-piracy forces in Puntland. The statement said the South African was 55 and married with children. South African foreign ministry spokesman Clayson Monyela said Saturday no official word has been received from consular staff handling South African interests in Somalia. “We have not yet been alerted to such an incident,” he said. The statement said the trainer was killed while accompanying Puntland’s maritime forces on a government-approved mission targeting pirates near Hul-Anod, a coastal area favored by pirates who use it as a base to hijack ships for ransom. But the small piece of metal carries a huge message of hope and comfort for the family of Nic Crouch. The Civilian Service Medal recalls his service as a private security worker in the Middle East – and sees the fulfilment of a wish he penned in a poignant letter to his parents in north Norfolk in case he was killed. After Mr Crouch died, aged just 29, in a suicide car bomb blast in Iraq in July 2010, his family received a letter saying: “If I should be killed in Afghanistan/Iraq and the media is interested, I should like them to know how I and all the other former soldiers contributed to the Great Game. Now after an 18-month battle by his parents, who have moved from Trimingham to Sheringham since Nic’s death, Mr Crouch has been awarded the first of the newly-created Civilian Service (Afghanistan) Medals. With more and more civilian workers doing support duties for shrinking armed forces it was all the more important to get recognition for their service, which was a far cry from the mercenary “dogs of war” that some people associated with overseas security duties. What Nic did was “duty in a tough environment” and the MP was pleased the posthumous medal was presented at the Foreign Office this week by Alistair Burt, the foreign secretary for Middle Eastern affairs. “Bereavement is incredibly difficult particularly when a young man is involved, and when you feel there has not been proper recognition of what your child has done. It hurts profoundly,” said Mr Lamb, who hoped the award would help the family move on. 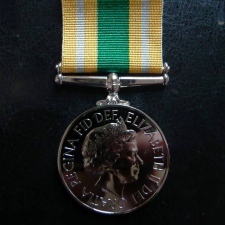 A Foreign Office spokesman said the Queen approved the introduction of the new medal last June, which would be awarded to UK civilians who, like Mr Crouch, had “served in direct support of Her Majesty’s Government’s objectives in Afghanistan since 2001. The leader of the Iraq Shi’ite militia Asaib al-Haq has said that kidnapped British bodyguard Alan McMenemy had been killed in a clash with his abductors and that the group was willing to hand over his body without conditions. Alan McMenemy, from Glasgow, was snatched by gunmen posing as police officers at the Iraqi Finance Ministry in Baghdad in May 2007. He was kidnapped along with three other guards, all former soldiers, and Peter Moore, the IT expert they were protecting. 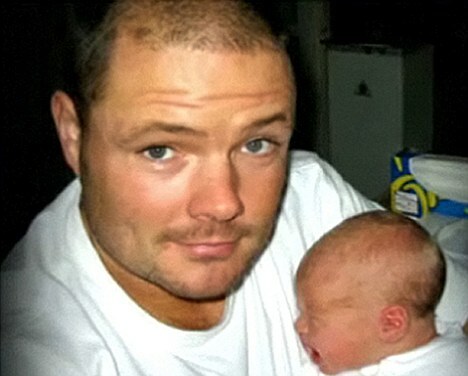 Mr Moore was released alive in December 2009, shortly after the bodies of the three other guards were returned to Britain. Qais al-Khazali, a Shi’ite cleric who leads the militia, said the four guards were killed when they tried to escape from their captors. He did not say when the escape attempt took place. Former police officer Chris Willden didn’t hesitate when he realized children were trapped in an upside down car in an icy Utah river. He pulled his handgun, pushed it up against the submerged windows and shot out the glass. He turned to see up to eight other passers-by had scrambled down the 10-foot embankment to help after coming upon the accident along U.S. 89 in Logan Canyon on Saturday afternoon. The driver, Roger Andersen, 46, of Logan, had lost control of the car as he tried to brake while heading northbound in slippery conditions. Andersen was able to free himself, but his 9-year-old daughter and 4-year-old son were trapped along with a second 9-year-old girl. Highway Patrol Lt. Steve Winward said that after shooting out a window, the rescuers helped turn the Honda Accord upright in the Logan River and rescue all three trapped children. “(The driver) was panicked, doing everything he could to get in through the doors, but they wouldn’t budge,” said Willden, who had jumped into the water with his own father. Willden said he tried unsuccessfully to open windows and doors. He then used his firearm just as he had done in training for his current job as a bodyguard and Department of Defense contractor. One of the girls had found an air pocket and was breathing fine but was trapped in her seat belt. Willden cut it with a pocket knife and pulled her from the rear passenger window. The CJSOTF-A Contracting Office, Camp Vance, Afghanistan is hereby issuing a combined synopsis/solicitation for Private Security Guard services for FLE Sar-e- Pul, Afghanistan in accordance with the attached SF 1449 and Statement of Work. This is a combined synopsis/solicitation for commercial services prepared in accordance with the format in FAR Subpart 12.6, as supplemented with additional information included in this notice. This announcement constitutes the only solicitation; proposals are being requested and a written solicitation will not be issued. The solicitation number for this requirement is H92237-12-R-0041, and this solicitation is being issued as a Request for Proposal (RFP). The solicitation document and incorporate provisions and clauses included are those in effect through Federal Acquisition Circular 2005-53. This requirement is unrestricted under NAICS code 561612 and is the Small Business Competitive Demonstration Program is not applicable. A list of contract line item number(s) and items, quantities and units of measure (including options); a description of requirements for the items to be acquired; dates and places of delivery and acceptance and FOB point; applicable clauses; and the offer due date, time, and location are located in the attached SF1449 and Statement of Work. The anticipated award date in response to this solicitation is anticipated 11 Dec 2011 and the point of contact for this requirement is LT Dominic Raigoza, email: cjsotfa.ko02@gmail.com (no commercial phone available). BAGHDAD, June 19 (KUNA) — A security contractor of British nationality was killed Sunday along with an Iraqi citizen accompanying him on an assault targetting a convoy of security firm in Basra, south of Iraq. A security source from the police said that the explosive charge exploded near to the intersection between Safwan town and Zubair district, 16 km west of Basra, when a convoy of SUVs of a security firm was passying by in what caused the death of the Iraqi driver, and a Briton security contractor who was with him in the car when it bumped into the roadside bomb. The blow-up damaged the car in which was the security contractor, and inflicted heavy damages on the other SUV which were part of the autocade. A security force cordoned off the scene, while the two bodies were transported to a nearby hospital, and investigation started into the accident’s circumstances. Hashem Al-Luaibi, Basra governorate’s spokesperson, asserted to KUNA the incident, making clear that a Briton serving as a security contractor has been killed along with his Iraqi driver when an explosive charge targeted an autocade of four-wheel-drive cars of their company, west of Basra. Private Security Contractor Adam Carney’s Family must pay to repatriate body???? Two weeks after he died of a massive heart attack, former Atlanta police officer Adam Carney’s body is expected to be returned home from Afghanistan, where he was helping train that country’s nascent police force. But his parents haven’t planned his funeral yet, saying Adam Carney’s employer, DynCorp International, has provided them with “non-answers” and conflicting information about when they could claim the 34-year-old Navy veteran’s remains. The Carneys, who flew in from Ohio soon after learning of their son’s death on March 28, say they were informed Tuesday morning that he would be transported to Dover Air Force Base, where an autopsy will be performed. They hope to have the father of two back in Atlanta by the weekend. A DynCorp spokeswoman said she understands the Carneys’ frustration but adds the delays were out of the company’s control. With all the blood and misery we deal with here everyday you would think we could not be more outraged than we are today by this…. We’ll be announcing the name of the company asap. DECATUR, Ga. – Former military officer and retired APD officer, Adam Carney died of an apparent heart attack in Afghanistan on Monday night. Carney worked overseas as a civilian contractor. The family must pay to have his body flown back to the United States and buried. The family and Humble Heroes-Police Memorial are hosting a fundraiser on Tuesday, March 29 from 4:00 p.m. until 10:00 p.m. at Avellino’s Pizza at 902 W. College Avenue in Decatur. Avellino’s will, also, be donating a percentage of proceeds to the Law Enforcement Memorial Ride or the Unity Tour. 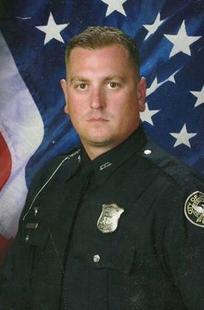 Carney’s brother, Josh, currently works as an APD officer and patrols the Zone 6 area. He is survived by a three year old and five year old.